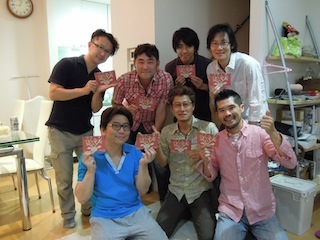 My band "Kentaro Kihara with the very merry orchestra" will do a concert tomorrow's night in Tokyo! Collaboration with Short animation film "Olle Eksell in Motion" and my band's music ! Tickets are available only a little. 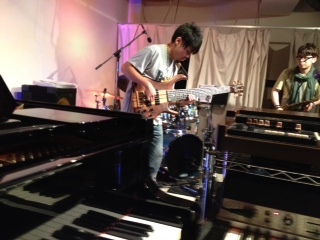 See you tomorrow's night at Live venue "KIWA" in Futako-tamagawa, Tokyo! 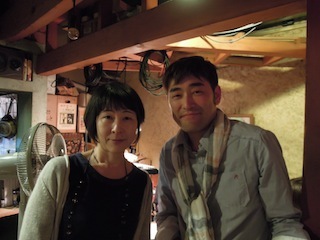 and Lyric writer Miho Fujii. 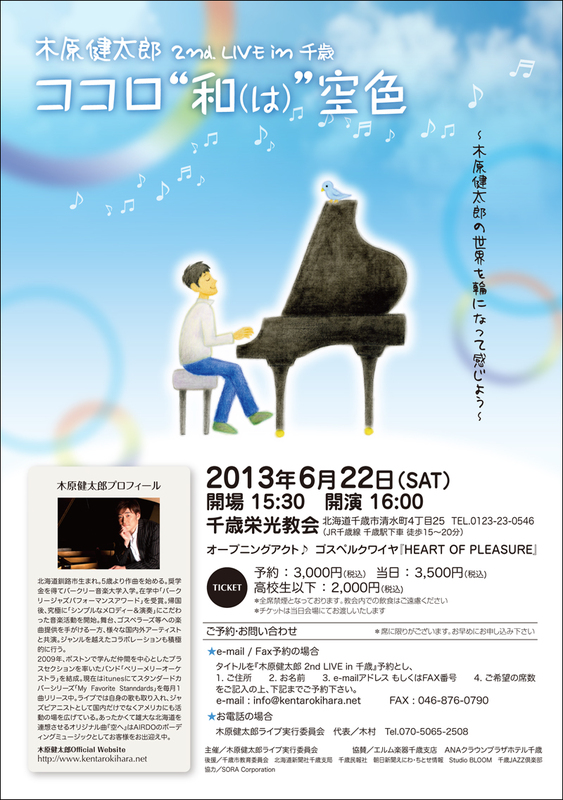 Piano solo concert in Chitose-city ! 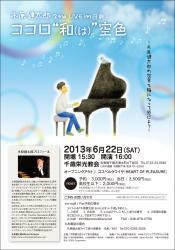 I'll do my piano solo concert in Chitose-city, Hokkaido! 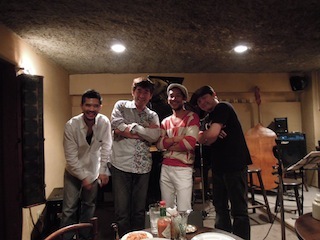 Jam with fabulous Japanese bassist "Lin" from Los Angeles! 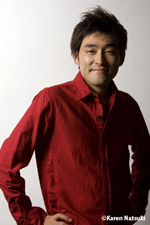 Short animation × Film scoring music! 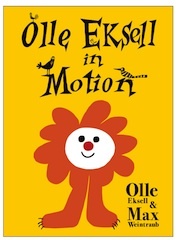 Short animation DVD "Olle Eksell in Motion" has released in spring. 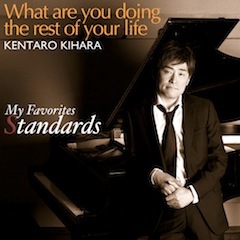 "Kentaro Kihara with the Very Merry Orchestra" composed and performed all music of this DVD. We will do a special concert. 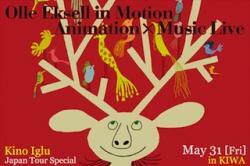 You can enjoy animation on the screen and then we will play film scoring music in the real time! 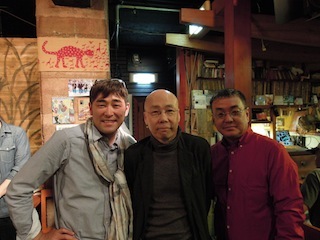 Concert will be on Friday , May 31st, at Live venue "KIWA" Futako-Tamagawa, in Tokyo. Released a New Single via iTunes !! I released a new single via iTunes. It was such a wonderful meeting time with smooth jazz stars! 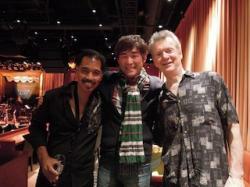 Michael Paulo, Peter White, and Gregg Karukas!! Noh × Jazz Piano !! 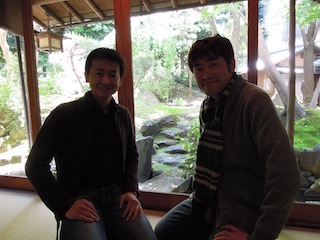 I had a meeting with fabulous Professional Noh-player, Mr. Tsunao Yamai. We will do "Noh & Jazz Piano" collaboration concert in Tokyo on July 21th!! That's one of my lifework collaboration, unit name is "Enishi". 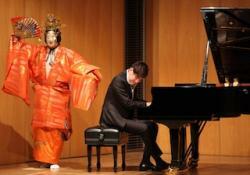 I'm very honored to get a chance to do again! 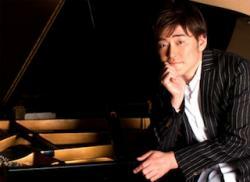 I'll let you know that details of concert soon! It was so fun night at Kamakura! Thank you for audience!, Thank you for Live venue "Daphne Kamakura" , and Thank you for the great band. I'll come back to Kamakura in the near future! I'll let you know that upcoming my gig with fabulous young Japanese jazz vocalist, Mr. Ryutaro Makino!! on Sunday, May 5th (Japanese Children's day) at Kamakura-city, in Japan.